Yes, it’s a rainbow. It’s a cliche….or is it an archetype? I think I’ve been through this argument before. It’s been a feature of mythology and literature, everywhere from the Great Flood, to the Wizard of Oz. It’s a beautiful, inspiring sight. 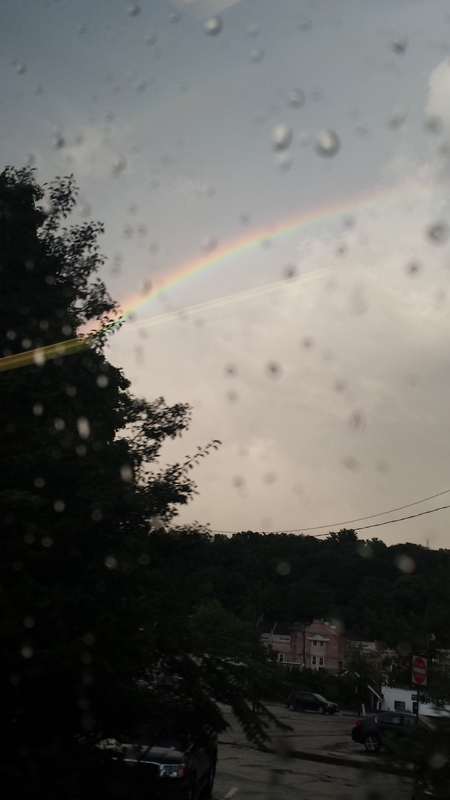 This was what I saw on the way back on the train one afternoon, on a torrentially rainy and emotionally cathartic day. And so, I’m going to draw a cliche again…and see if I can make it fresh and non-saccharin.